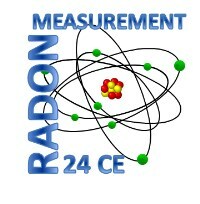 A review of the entry level measurement course providing you with a great review of topics ranging from the physics of radon all the way through the different types of testing devices and some valuable business perspectives for radon professionals. 24 CE credits for those individuals with two certifications. A convenient and comprehensive 24 credit hour course approved for both Measurement & Mitigation professionals. There is approximately 24 hours of coursework, including video instruction - recording of a classroom session; online resources such as, protocols, and publications; and quizzes that are taken as you progress through the course (not timed and may be taken unlimited times). There is no time limit for taking the course, and even after completion you continue to have access to the course in order to refer back to resources. Course was very thorough and helpful in reviewing all aspects of radon testing and building science. Included material that is very seldom used in the field so this was a good refresher course. course material very good, although little hard to navigate. felt some of the questions had 2 answers. Great course. I've been a radon professional for over 11 years and find that most of this is a very nice reminder. Great course glad I was able to do it online. Great alternative to in-classroom options for C-E requirements. Fits into busy work schedule easily and still counts for requirements. Business ethics and practical contractor experience was helpful. More info needed to prevent tampering with radon tests, with sample of non-tampering agreement to be signed by homeowner. Very helpful and easy to work on. This is the second 24 ce course I've taken and they're top notch every time. There's no reason to go anywhere else. There was a technical glitch the first few chapters of the course, the video froze on occasion. I enjoyed the instructor, he included some of his mitigating experiences that are interesting. excellent content & testing procedures. Thomas said: Thank you for explainig everything. Great Videos. Doug, you're still the best! I like the new, updated course and look forward to learning more from you in the future. Excellent course, I've been a repeater. Material presented in a well-organized and comprehensive manner, EXCELLENT job! 5 stars ! !